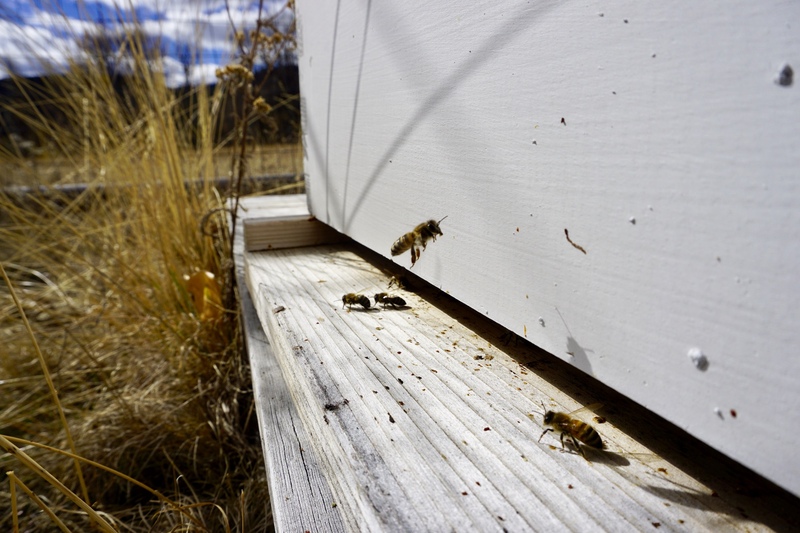 Join us as we follow our new colleagues—the bees—through their second year homesteading in the Rock Creek Valley. The story is in reverse chronological order so scroll down to start from the beginning, or read more about their first year on The Ranch. I am constantly amazed and humbled by the complexity of the hive. One of the first things I learned from my apiarist mentor was that once you believe you know everything about beekeeping you should quit because that means you are a terrible beekeeper. Instead, you should always be learning from the hive. That comment has stayed with me. 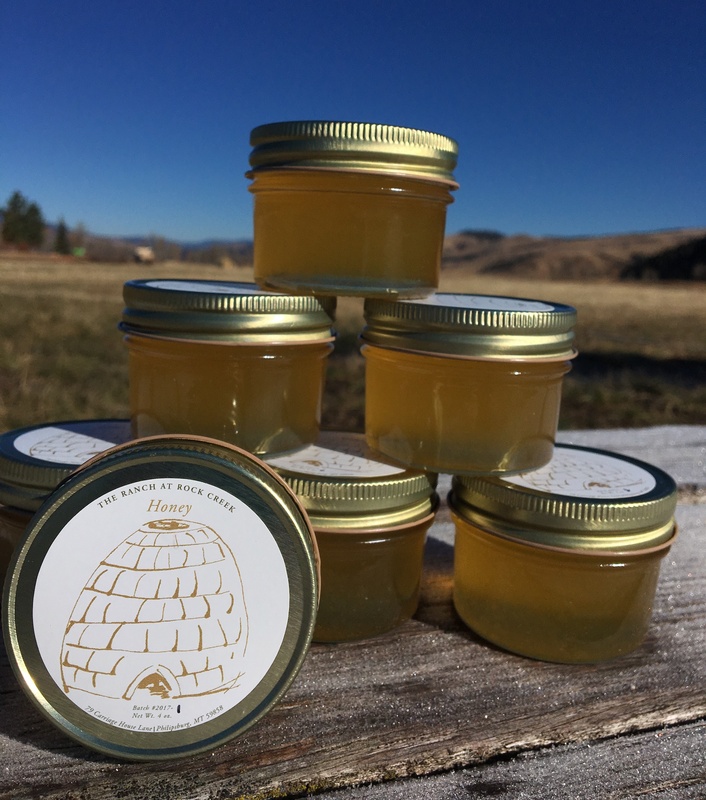 This season there have been many surprises and unforeseen circumstances with the hives, a less-than-bumper crop of honey, and yes, there has been a lot of learning. We sold jars from our 2017 at this year’s Autumn Harvest Celebration. Photo by Kelsey Bruns. For me, beekeeping is an intricate dance of manipulating the hive. As a beekeeper you are constantly assessing the hive and reacting quickly enough to know what your next move is going to be. 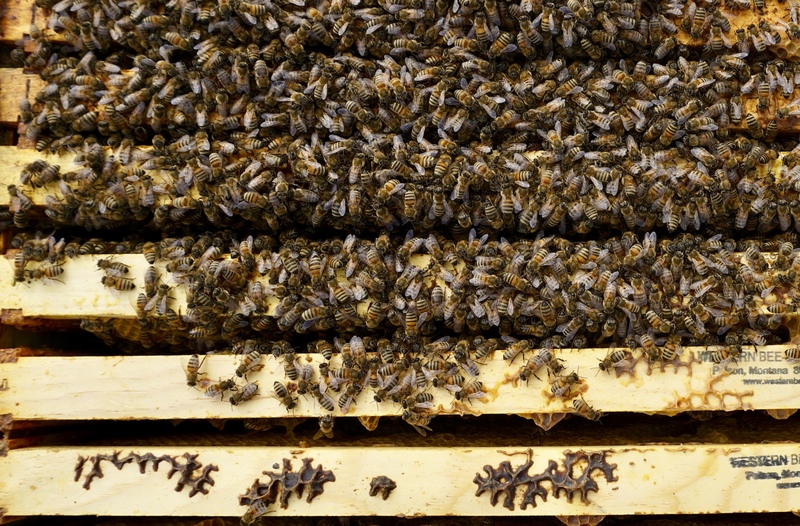 Knowing how to read a hive is imperative to a healthy and successful hive. This can be as easy as moving frames from point A to point B and as complex as listening for different intonations of the buzz of a hive. 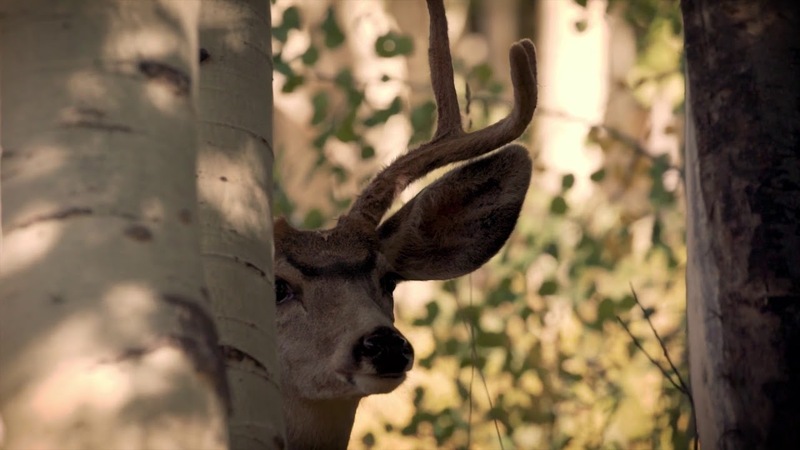 This season there were many instances to practice observation and react to what the hive was telling me. Spring was very wet and cold this year, and our summer came in strong and left quickly. Two things need to happen for any plant to produce nectar: warmth and moisture. The warmth and moisture allows the plant to bloom. But the golden ticket is to have both these things happen over an extended amount of time. With no moisture in the ground, the flowers may be present but they will not produce nectar. Spring green soon changes into a tawny landscape during the summer in Philipsburg, Montana. Photo by Drew Baker Photography. Lacking these two integral factors left the hives with less than enough time to collect a enough nectar to turn into a large crop of honey. As one can imagine, this can be quite frustrating for a beekeeper. I feel for the local farmers when the weather is just not conducive for a bumper crop that can support their livelihood. With all this being said, I can blame the weather all I want for the lack of honey, but the reality of this year’s less than exciting honey crop was also due to the health of the hives. For reasons unknown, two hives lost their queens. To make matters worse, these two hives lost their queens right before the nectar flow. As a beekeeper, all your work is for the nectar flow. You work to ensure you have the strongest hive possible with the most bees that are foragers right as the nectar comes on. With no queen continuously laying eggs to keep hive numbers up, and forager bees coming of age, a hive simply lacks the bee numbers and the appropriate cohort of bees to collect nectar. As the weather turned cool, the bees started to clump for winter. This act helps the bees to stay warm while exuding less energy. Photo by Kelsey Bruns. Even after this event, I still had hope for my hives. I repaired these hives with bees from the two strongest hives in the apiary and patted myself on the back for a job well done. But to my dismay one of the new queens in the hive did not mate well and was a drone layer (only produced male bees, not female worker bees), and thus this hive was once again doomed. Being an optimist, I went into the strong hives once again to repair the damaged hive and this queen took. Finally, all of the hives were back to normal. But because of my optimism (or potentially my stubbornness), the two strongest hives that I used to heal the weak hives had suffered. I ultimately decreased their bee numbers, and in return, these hives produced less honey. Female bees taking advantage of their last sunny days in the Rock Creek Valley before their winter stay in the Bitterroot Valley. Photo by Kelsey Bruns. I had to make this decision along the way and I had my reasons. The question was, should I let two hives die and let the strongest hives stay strong and produce an amazing honey crop? Or should I save two hives and sacrifice the amount of honey I would get in the end? I reasoned with the second option, which roots in my philosophy of beekeeping. The purpose of beekeeping for me is not how many pounds of honey I harvest; it is for the mere appreciation I have for them. Understanding the honeybee hive is a wonder. Something so complex, yet so perfect and simple, that it hasn’t changed in millions of years. The hive is a beautiful super-organism that our society will always be indebted to and that I will forever be in awe of. The bees are now set up for success in which they will over-winter well. They now reside in the Bitterroot Valley for a second winter where the climate is less harsh and the spring flowers come early. Cheers to the bees. I am always ready to learn. Spring in Rock Creek Valley was quite a dramatic season. This past winter we had an above average snow pack and thus, in return, we have had an extended high water season for Rock Creek. We hope the extra precipitation will mean a healthier eco-system in the long run. 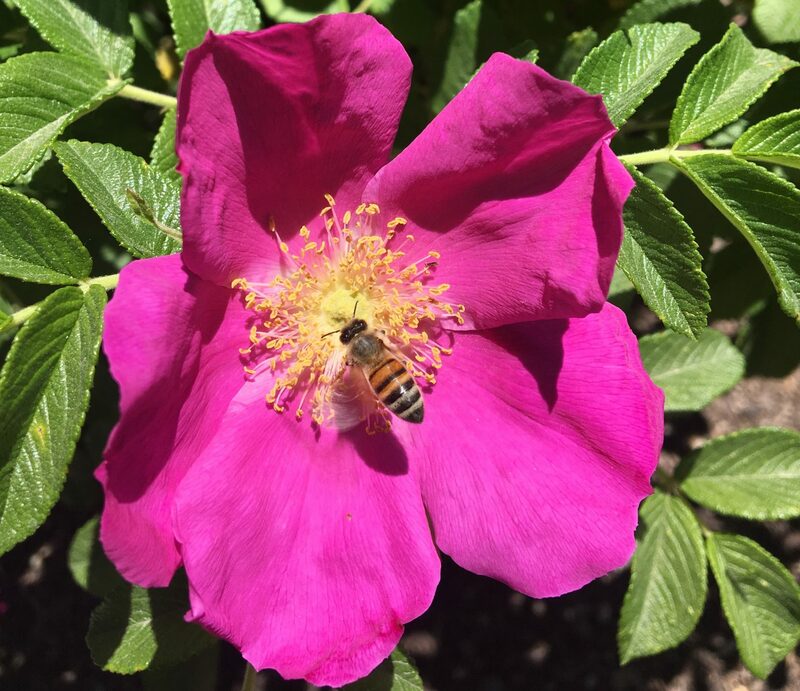 A honeybee on a rosebush. Photo by Kelsey Bruns. 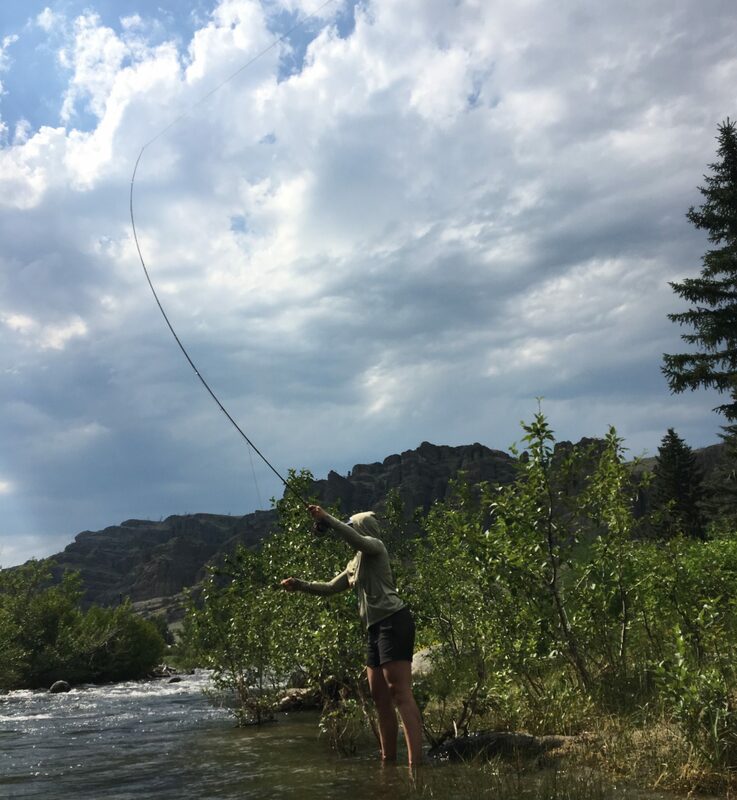 Now that the water is down, the fly fishing is up! As spring progresses into summer, the hives are busy, gathering pollen and trying to recuperate from the long winter. 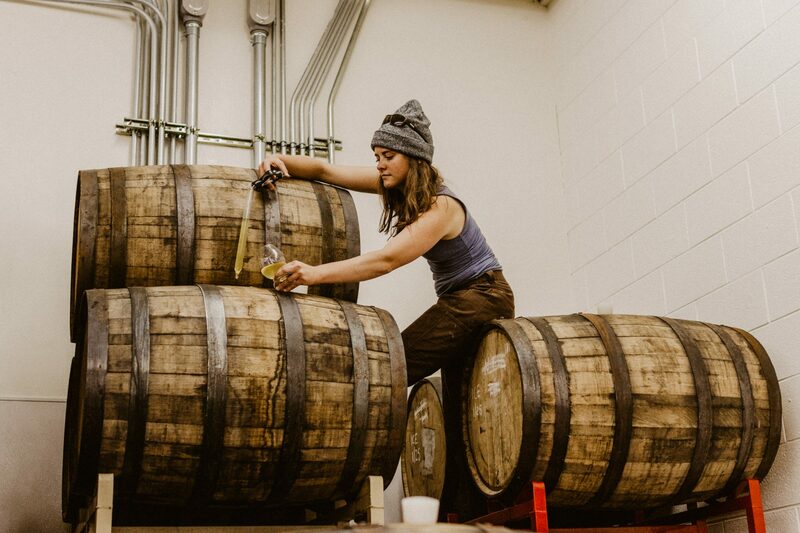 While whiskey straight up may be the stereotypical cowboy drink, it’s certainly not the only option for wetting your whistle in the West. The Ranch at Rock Creek is an experiential oasis, perfectly suited to a martini before the Homestead Supper Club, a Negroni as a fireside aperitif, or a margarita by the pool. Read on to find the recipe for this cocktail, The Motherlode. Cocktails are a cultural experience, steeped in centuries of creative pairings. The beauty of mixology is that you can adapt recipes to the setting, the season and the individual. Bar Manager Ned Derosier’s cocktail menus in the Silver Dollar Saloon and the Great Room change frequently to highlight local spirits and seasonal abundance. For example, summer cocktails might feature foraged sage, huckleberries and Flathead cherries. 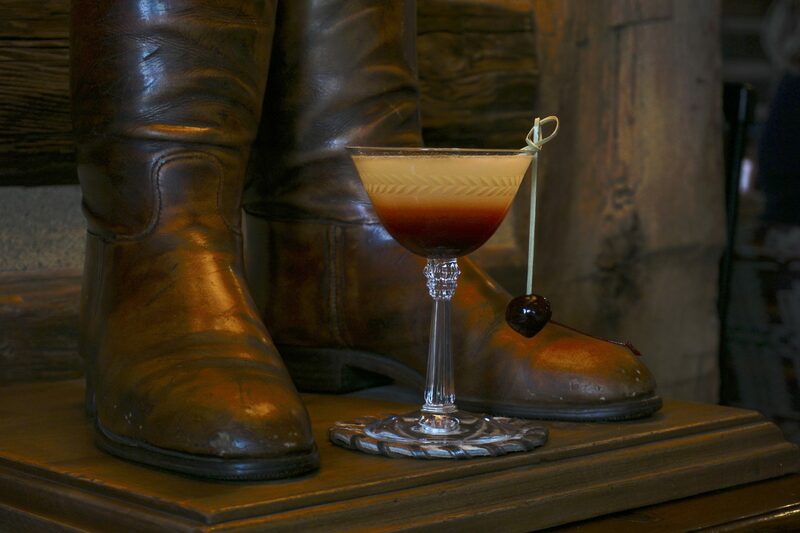 You’re sure to get a taste of wild Montana when you saddle up to the bar. 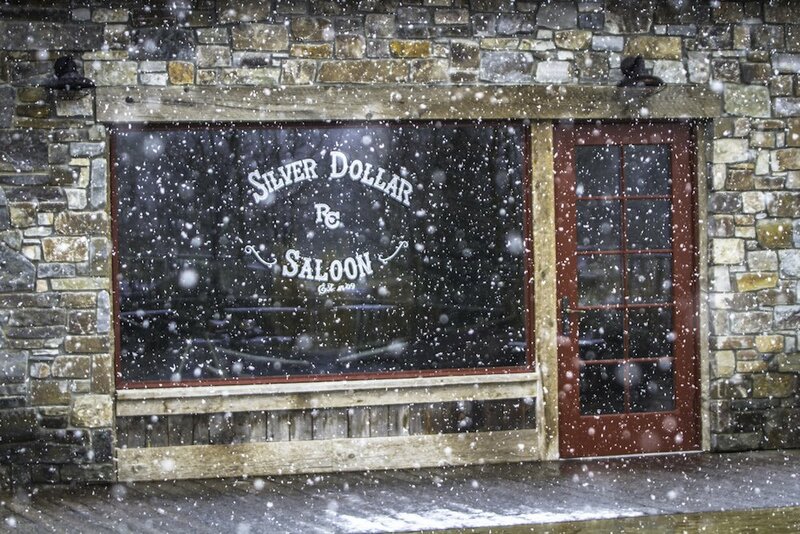 In fact, you can literally saddle up to the bar in the Silver Dollar Saloon. 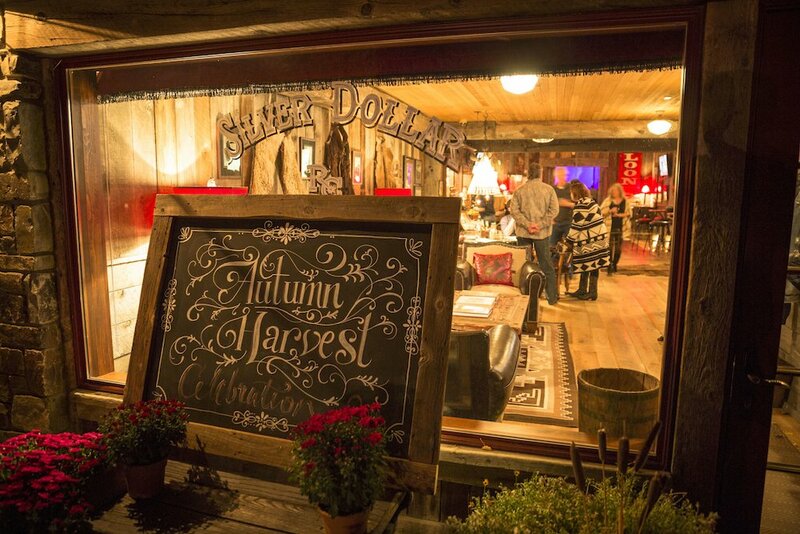 We’ve just enjoyed one of our favorite times of the year—our annual Autumn Harvest Weekend. While our Instagram followers experienced this celebration in real time through video “stories,” we wanted to hand pick some farm-to-table festivities to share with our Blog at Rock Creek readers. Before this blog ends, you’ll find a recipe for a cocktail that’s sure to be as bright and invigorating as a harvest moon. 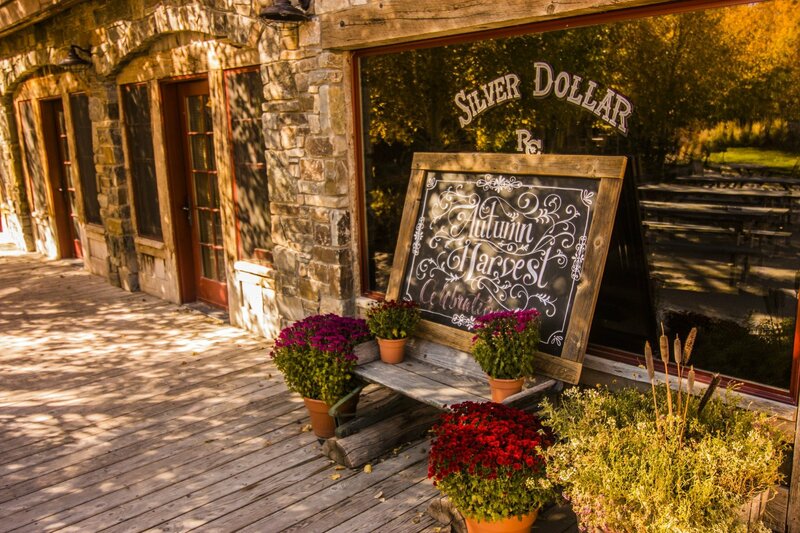 Silver spurs, gold nuggets and riding off into sunsets—these are the icons of the legendary West. Since the Western states were formed and the barbed wire was strung, the Rocky Mountain states have changed in a myriad of ways (notably, with more indoor plumbing and fewer gun battles with road agents), but it’s still retained a wildness that’s rare in our modern day. 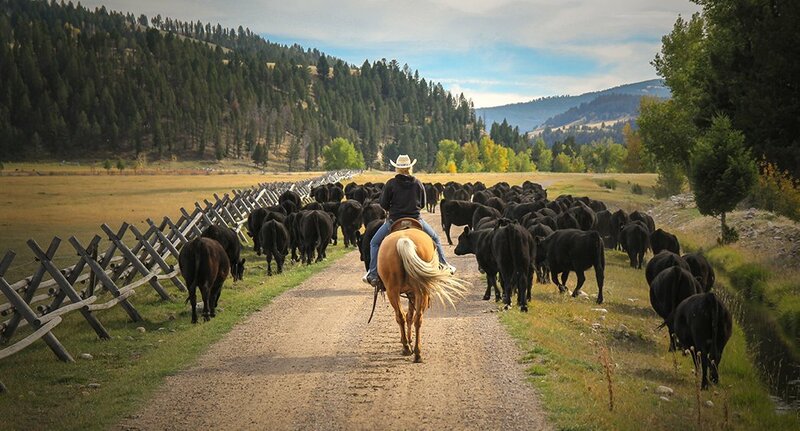 In Montana, cattle outnumber people by 2.6 million to 1 million. In our neck of the woods there are more dirt roads than paved. Legendary adventures remain available for people willing to drive or fly a little further into the heart of the West. 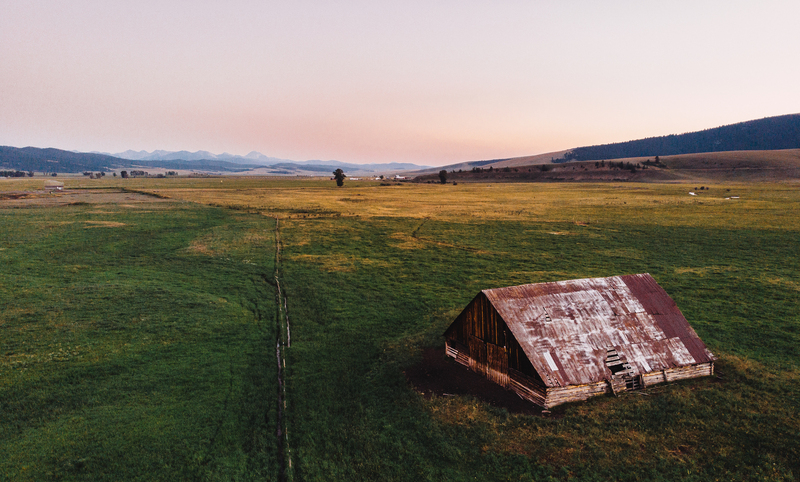 As The Ranch at Rock Creek has grown over the past six years, we’ve retained the feeling of our historic homestead roots. 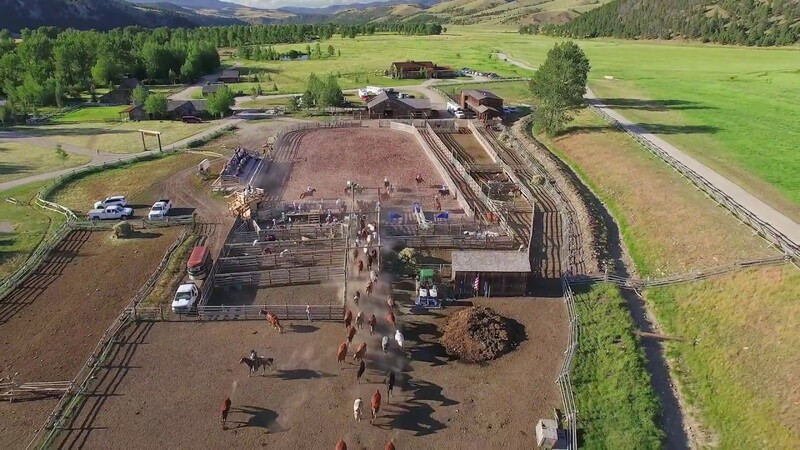 We appreciate that our partners in the travel industry celebrate our local ranching culture and allow us to remain, at heart, a Gold Country ranch. Of these partnerships, perhaps Relais & Châteaux is most notable for its appreciation of local food and culture. Although this collection started in the chateaux and kitchens of France, Relais & Châteaux were quick to recognize there is no one way or one place to live well. Each region of the world can elevate their local cuisine, local culture and local art to higher standards, allowing guests to drink in the experience. This week, we’re pleased to announce two pieces of exciting news in concert with our Relais & Châteaux family: the release of their new book, The Art of Entertaining, and the new Legendary West Route du Bonheur. National Culinary Arts Month couldn’t come at a better time. 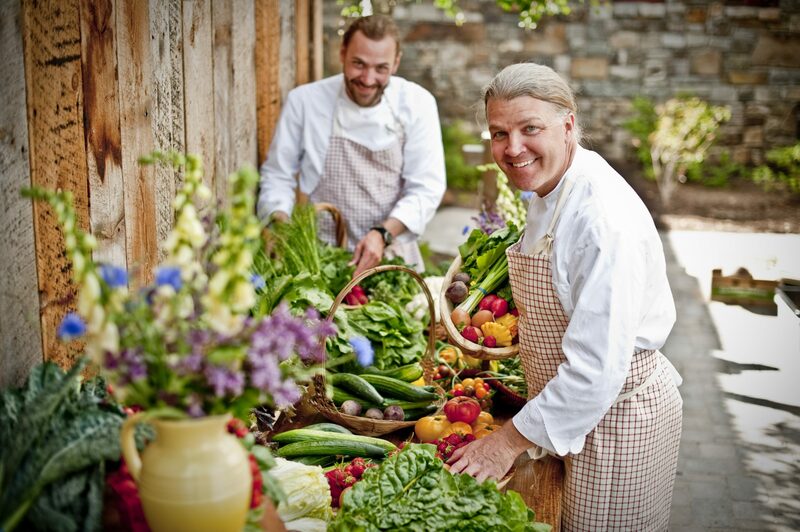 Summer produce is rolling in and The Ranch kitchen is highlighting Montana’s freshest food with creative, ever-changing menus. 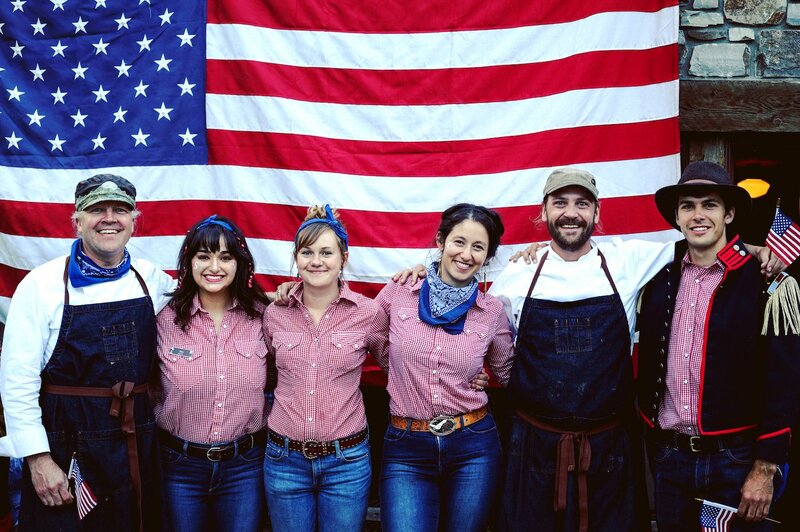 We want to recognize the chefs, servers, managers and purveyors that make The Ranch’s dining experiences shine. As part of the Relais & Châteaux commitments, Executive Chef Josh Drage and his talented team focus on making our cuisine a reflection of local tradition while delivering a first-rate luxury experience. We want to thank our staff members who achieve this precise balance every day of the year. 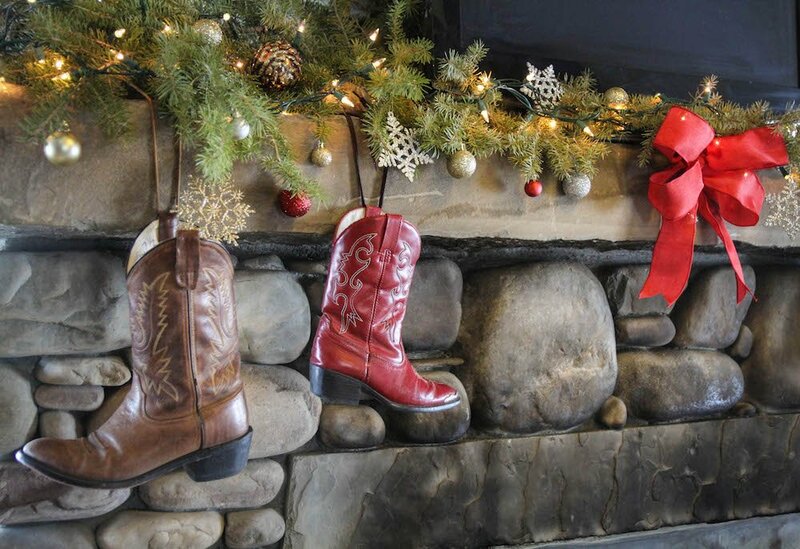 A Ranch Christmas: Eat, Drink and Be Merry! “Eat, Drink and Be Merry” might be the perfect recipe for a good holiday party. It’s certainly how we like to celebrate the season. In anticipation of hosting and sponsoring the Granite County Festival of Trees in just a few weeks’ time, our culinary team has shared some winter comfort food recipes. They believe that the key to a memorable celebration is putting a lot of care into what you serve and then taking the time to savor it. If you can’t join us at The Ranch for Christmas or New Year’s, we hope you’ll enjoy these delicious recipes and use them to channel a country Christmas wherever you celebrate this year. Happy Holidays! 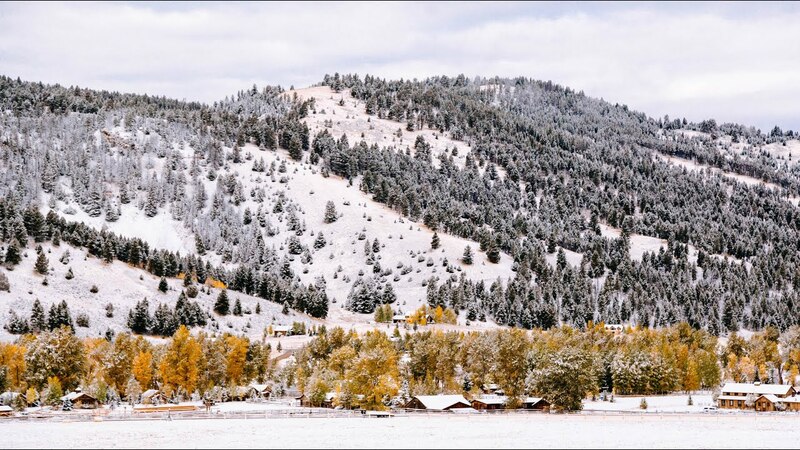 As with each of The Ranch’s seasonal celebrations, such as Thanksgiving and Midnight in Montana, our staff anticipated that this year’s Autumn Harvest Celebration would be a memorable gathering of friends and family. 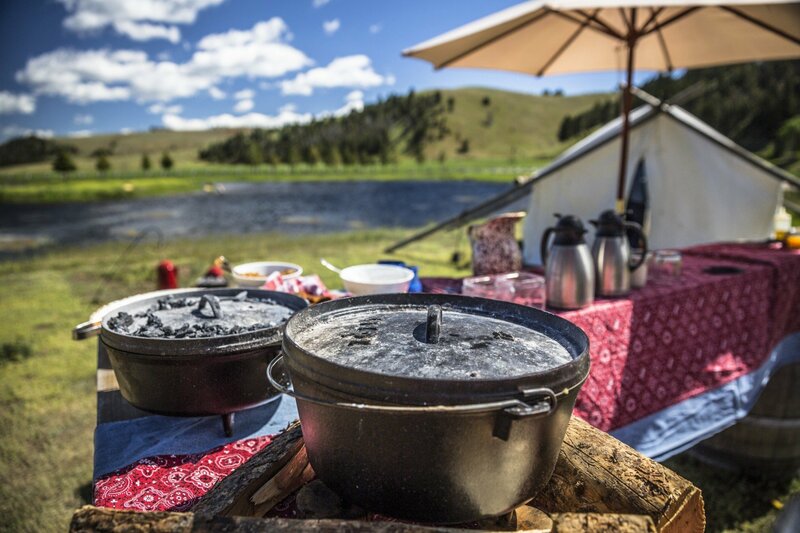 As always, guests would experience grand luxury, Western adventure and the finest Ranch cuisine.